This Is Not Going To Be Easy, Folks. Passionate followers of Jesus, listen up. Kingdom-loving pastors and shepherds of God’s flock, attention, please. God-loving people-pleasers, Spirit-embracing world appeasers and those of us Christians who revel in our ability to live a life of quiet moderation, give Jesus your ear. Walking down the path of the Kingdom life that Jesus of Nazareth assigns to us will not be an easy one. It will not be the popular one. It will not be the one that is marked ‘seeker-sensitive’. It will not be the one where the crowds will applaud you along the way. As a matter of fact, if I read Jesus carefully here, not only won’t there be fans standing there encouraging you to finish your race, there will more likely be a few hecklers calling out your name, laughing and poking fun at you as you struggle to finish your race. Let’s face it, fellow men and women of the cloth. This Americanized-church concept of ever-increasing crowds of adoring fans flocking to my church while throngs of repenting sinners run to fill the front pews is more an anomaly than a reality for those looking to follow in the Great Rabbi’s footsteps. 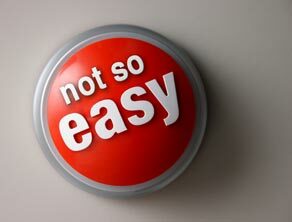 If living the Christian life were easy, everybody would be doing it! And so it goes for those of us who are blessed of God to find ourselves doing pastoral ministry in and for the name of Jesus in the 21st century. From what Jesus says here, it looks as though the persecution and hatred which comes our way as followers of Christ will not be there because we caused it but because the world outside of Christ’s love just can’t do anything other than what comes naturally through the darkened, un-redeemed lives we all live outside of Him. In truth, anything or anyone outside of God’s love can only manifest what we know. If we live and breathe in a world absent of love, why should we expect something different than what the world knows? Jesus seemed to fully understand that it was impossible for Him to receive love and acceptance from a world that knows so little about it? But rather than becoming uppity and prideful, as so many Christians do, Jesus flatly states that if we’ve been touched by this amazing agape love, we must remain in that love even when our fellow earth-dwellers fail to appreciate that gift we’ve found. Ouch. A hard task indeed. Not do-able as I see it, by human initiative. But when the Spirit of Truth comes, living and breathing inside us, the God-breathed ability to love and keep loving, even when hate comes at us in return, will actually speak more volumes on true agape than all the hard-lined sermons or pro-Jesus rallies we silly Christians try to throw at this broken, unloving world in which we live. So my fellow-followers of Christ, when hate and persecution comes our way, look upward and keep loving. As I see it, if we can keep our heads and hearts about us, Jesus can get a lot of mileage out of the Kingdom-led life that chooses to love even when hatred is being dished out in spades. My prayer: Lord, this is hard to hear that living a life for You will not necessarily bring me flowers and candy. My hope was that a life well-lived for You would be well-received, honored, and appreciated by all those around me. Your words here state that this scenario will not often happen. Help me, Lord to not grow bitter in that realization. Keep my heart soft and loving, through it all. For Your name’s sake. Amen. My questions to ponder: How can I prep myself so that I don’t become bitter or retaliatory when others persecute or hate me for my increasing faith in Christ? How can I allow the Spirit to give me strength and approval when others don’t? Where can I grow and mature when it comes to the realization that hatred and persecution might be more common in the Christian life than applause and approval?